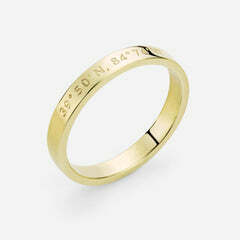 Nava New York is a line of hand-made custom sorority jewelry. The perfect accessory for you and the special women in your life, our jewelry is affordable, fashionable, and timeless. Honor your inner beauty, connect with your sisters, and always remember the importance of tradition, charity and wisdom. Nava New York believes that beauty and strength reinforce one another and jewelry can be that constant reminder. Designed and hand-made in New York City, our jewelry aims to inspire change and raise social awareness. 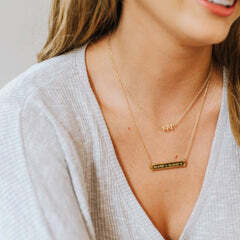 Today Nava New York released their much-anticipated new custom sorority jewelry online boutique and 26 new sorority jewelry collections. Shop Nava New York to buy officially licensed sorority jewelry collections for Alpha Chi Omega, Alpha Delta Pi, Alpha Gamma Delta, Alpha Epsilon Phi, Alpha Omicron Pi, Alpha Phi, Alpha Sigma Alpha, Alpha Sigma Tau, Alpha Xi Delta, Gamma Phi Beta, Delta Delta Delta, Delta Gamma, Delta Zeta, Delta Phi Epsilon, Zeta Tau Alpha, Theta Phi Alpha, Kappa Alpha Theta, Kappa Delta, Kappa Kappa Gamma, Pi Beta Phi, Sigma Delta Tau, Sigma Kappa, Sigma Sigma Sigma, Phi Mu, Phi Sigma Sigma, and Chi Omega Sorority Jewelry Collections. Be sure to check out our Custom Collections if you do not see a collection for your organization. Shop your letters today! Check out how you can make a difference in style with sorority jewelry! Save with your sisters! 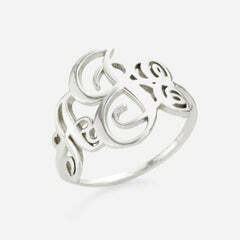 Order your sorority jewelry together, pay separately, and receive major discounts.